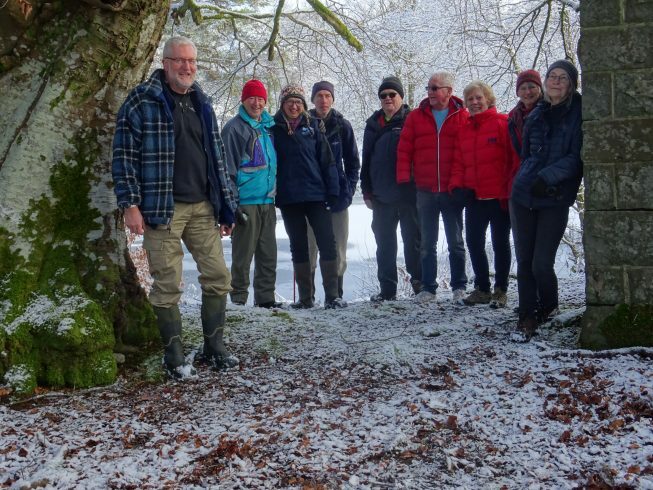 The Local Initiatives New Galloway (LING) community group have been working tirelessly on their Galloway Glens funded project titled ‘Exploring New Galloway’. 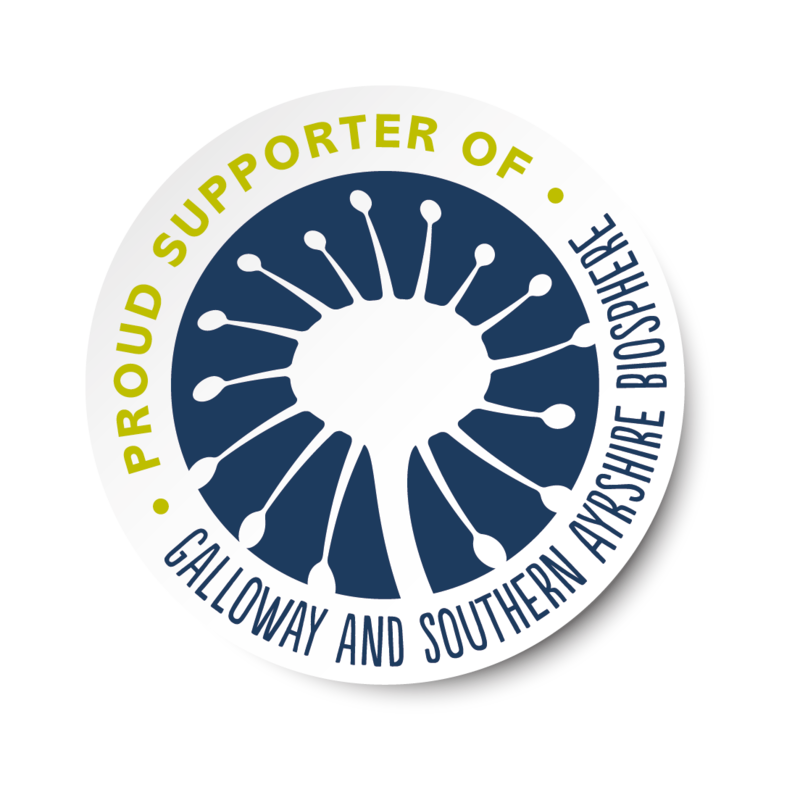 The project is one of many supporting the Galloway Glens Partnerships programme to improve access to the natural heritage of the area. We are really pleased to have been able to make the first project grant payment and sent out our administrator, Jude Crooks and Access Officer, Jonathan Barrett to handover the cheque to Ros Hill and the LING project volunteers. And all though the garden is not fully in bloom, it just shows you that even in the heart of winter it is a magical and delightful place to visit! 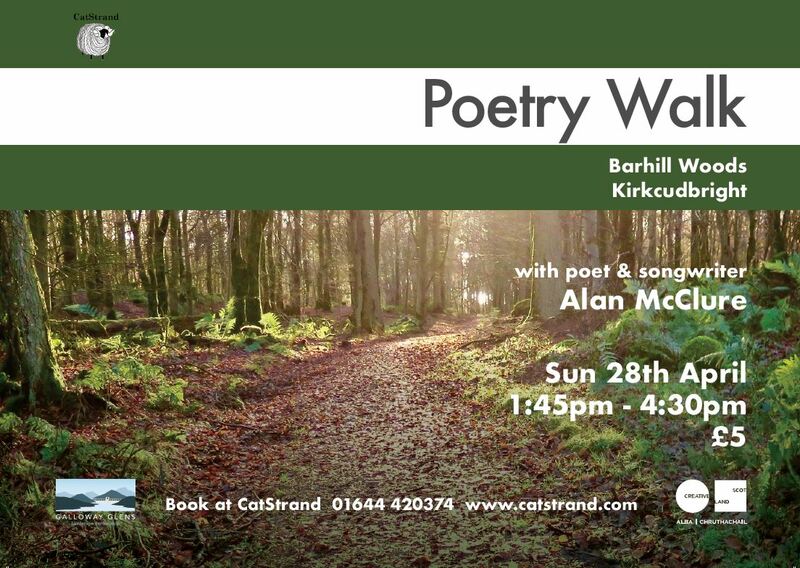 The Galloway Glens Scheme is supporting this project with a grant of £21,000. 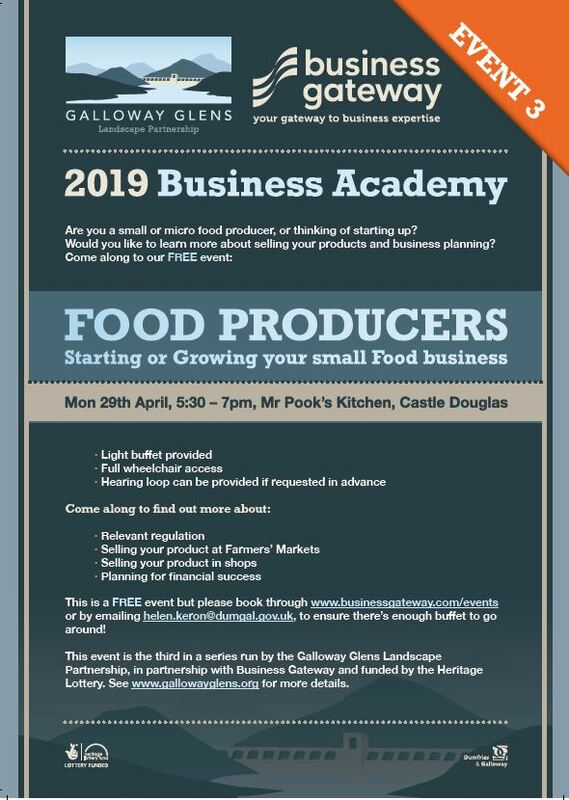 With kind permission from the owner huge progress has been made to revive the Garroch Estate walled garden which is one of the largest and most notable examples in the area. Work has included the clearance of scrub and undergrowth, rescue of historic plants and trees and creation of new planting area to create a blooming and productive community garden. Future plans include the provision of an eco-friendly composting toilet for visitors and volunteers. 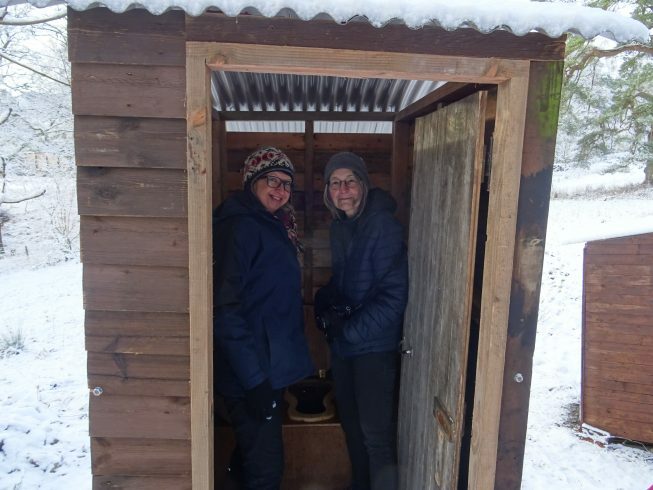 PHOTO CREDIT: GALLOWAY GLENS; L-R, JUDE CROOKS, GGLP AND LING VOLUNTEER, TERI OBSERVING A COMPOSTING TOILET ON THE GARROCH ESTATE. The Garroch Estate is a fairytale landscape of woodland walks, rich in woodland flora and fauna, which is gradually being opened up. These paths are known and loved by enthusiastic walkers with local knowledge, but many visitors are deterred from using them by lack of signage and mapping and the general state of the paths.  Opening up and improving the path network will encourage people to explore the Garroch Estate and the wider Glenkens landscape to connect with the stunning landscape and heritage of the area. LING are pleased to hear that the The Glenkens Red Squirrel Group, another Galloway Glens project partner is keen to pursue the construction of a wildlife hide. PHOTO CREDIT: GALLOWAY GLENS; L-R – JONATHAN BARRET, GGLP ACCESS OFFICER AND LING VOLUNTEERS AT THE GARROCH ESTATE. The many passionate volunteers involved in this project are also working towards provision and improvement of access routes for walking and leisure in the wider Garroch area by clearing and maintain 20 miles of existing footpaths of debris and overgrowth; signing and mapping routes. I am so impressed with the work Ros and her team have done to get this project underway. This project will let residents and visitors alike get out and about into the natural environment, as well providing excellent opportunities for volunteers to maintain the garden with the view to restoring it back to its former glory! Receiving the first grant cheque is a real milestone for the project which just started last summer and we are looking forward to further progress this year both in the walled garden; opening up the Garroch footpath network and continuing the maintenance work on the New Galloway Golf Course woodland paths for local residents and the increasing number of visitors who are discovering this lovely area. Working Parties are normally in the Garden on Wednesday mornings at 10.30am or at 10am at the New Galloway Golf Course on Saturdays. If you would like to join in contact us on 01644 420632 or just come along. 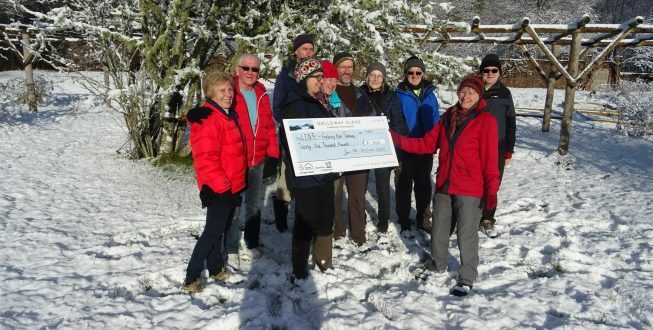 MAIN PHOTO CREDIT : GALLOWAY GLENS, L-R: JUDE CROOKS, GGLP ADMINISTRATOR PRESENTING BIG CHEQUE TO ROS HILL, CHAIR OF LING WITH LING VOLUNTEERS.